Chetwynd /ˈtʃɛtwɪnd/ is a district municipality located on the foothills of the Rocky Mountains in northeastern British Columbia, Canada. Situated on an ancient floodplain, it is the first town eastbound travellers encounter after emerging from the Rockies along Highway 97 and acts as the gateway to the Peace River Country. The town developed during the construction of infrastructure through the Rocky Mountains in the 1950s, and was used as a transshipment point during the construction of hydroelectric dams in the 1960s and 1970s and the new town of Tumbler Ridge in the early 1980s. Home to approximately 2,600 residents, the population has increased little if at all since the 1980s but is significantly younger than the provincial average. Once known as Little Prairie, the community adopted its current name in honour of provincial politician Ralph L.T. Chetwynd, just prior to its incorporation in 1962. The 64-square-kilometre (25 sq mi) municipality consists of the town, a community forest, and four exclave properties. Chetwynd has dozens of chainsaw carvings displayed throughout town as public art. It is home to a Northern Lights College campus. Nearby, there are four provincial parks, two lakes, and several recreational trails. Highways 29 and 97 intersect in town; the east-west Highway 97 connect the town to Prince George and Dawson Creek while the north-south Highway 29 connects Tumbler Ridge and Hudson's Hope. A rail line branches off in three directions: northward to Fort St. John, east to Dawson Creek, and west through the Rockies to Prince George. Its economy is dominated by the primary industries of forestry, fossil fuel extraction, and transportation. A member municipality of the Peace River Regional District, it is represented in provincial politics by Liberal MLA Mike Bernier. From 1918 until the 1930s, the present townsite hosted a trading post on a grassy pasture known to the Sekani and Saulteaux as Little Prairie. In the 1920s, settlers from the Peace River Country began migrating westwards, across the frozen Kiskatinaw and Pine Rivers, to homestead. Little Prairie was homesteaded by Alexander and Lillan Windrem in 1930 and cleared the land by 1935 for hay, oats and gardens. Oil and coal discoveries, west of Little Prairie, near Commotion Creek, led to the construction of area roads. As the area's natural resource potential became more apparent, a highway was planned in the late 1940s from the British Columbia Interior to the northern side of the Rocky and Omineca Mountains. The John Hart Highway, named after former B.C. Premier John Hart, was completed in 1952; designated Highway 97S it stretches from Prince George to Dawson Creek, with an intersection at Little Prairie. This was northeastern BC's first connection with the rest of the province; previously a trip through the neighboring province of Alberta was required. Following the opening of the highway, businesses such as restaurants and service stations were opened in Little Prairie to accommodate incoming workers and settlers. The first school was built in 1951. Little Prairie was incorporated as a waterworks district on 8 October 1957; within the span of a few year a rail line, natural gas pipeline, and telephone line were built along the highway from Prince George. Provincial Minister of Railways Ralph L.T. Chetwynd (who also directed the Pacific Great Eastern Railway) headed the rail line project. The rail line continued eastward to Dawson Creek which was the western-most terminus of Northern Alberta Railways. In early 1958, the first train ceremonially arrived in Little Prairie from Vancouver. Its load included pipe to symbolize natural gas development, steel railway track for the extension of the rail line, box cars for grain and lumber, and a truck representing freight hauling along the Alaska Highway. The railway station in Little Prairie was completed in 1959 and named after Chetwynd, who had died two years earlier. Soon afterwards the post office adopted this name. Chetwynd became the community's official name on 1 July 1959. In 1960 the Chetwynd Waterworks District expanded its mandate to include garbage disposal, fire protection, and street lighting. Led by its Chamber of Commerce, the community incorporated as a municipality on 25 September 1962. Growth continued in the 1960s when the town served as the rail-to-truck transshipment point for delivering workers and supplies to the construction site of the W.A.C. Bennett Dam, in nearby Hudson's Hope. Canfor and West Fraser Timber bought sawmills in 1964 and 1971, respectively, and eventually became two of the town's largest employers. The development of its forestry sector led to the town being declared the Canadian Forest Service's 1992 Forestry Capital of Canada. The community opened a rodeo ground and curling rink in 1963, a library in 1967, a new fire hall in 1968, an airport in 1970 and a hospital in 1971. Further growth was stoked in the late 1970s and early 1980s by the construction of the Peace Canyon Dam near the Bennett Dam, the opening of the natural gas and sulfur plant, and the construction of the mining town Tumbler Ridge. Chetwynd thus was re-incorporated as a district in 1983 with a population of 2,957. With no more megaprojects, Chetwynd's population remained relatively stable at about 3,000, with a peak population in 1996 at 3,113. On 4 December 1996, Chetwynd's boundaries were expanded to include 49 km² (19 sq mi) of forested land and industrial properties. Most of this came from moving the northern border up 210 metres (689 ft) over Ol' Baldy Ridge to create a community forest, a concept which originated from a Chetwynd Secondary School proposal in 1980 for a fitness trail. The trail became the backbone of a system of interconnected trails and greenspaces that went up the ridge. Four industrial properties—a gas plant, sulfur processing plant, coal mine, and pulp mill—became exclaves of the district as they incorporated to receive municipal services. The coal mine, with an expected lifespan of 15 years, was approved by the province for development in 1998. It was not constructed until 2004 making it the province's first new coal mine in 20 years. It only operated for 2 years before closing due to poor yields, equipment failure, and lack of financial backing. Carved out of an ancient floodplain, the small terrace upon which Chetwynd is situated lies in the northern foothills of the Rocky Mountains. Once used as a grazing spot by nomadic Aboriginals, the terrace was farmed by settlers until it was developed into a town. Two types of soil—namely, the Widmark and Centurion Series—comprise the terrace's surface. The Widmark Series—a moderately well-drained degraded loamy, woody, silty, and clay-like soil—lies north of Highway 97. Meanwhile, the Centurion Series—which lies south of the highway—is a poorly drained soil with a dark-brown peaty surface material consisting of decomposed leaves and mosses. These soils, also limited by topography and stoniness, are generally used for forage and pasture. The town is surrounded by forested hills but the prairies of the Peace River Country begin here and continue eastward into Alberta. It lies in a transition area dividing two biogeoclimatic regions: the Boreal White and Black Spruce zone and the Engelmann Spruce-Subalpine Fir zone. The area's native tree species include deciduous balsam poplar and coniferous spruce and pine. Many fur-bearing animals—deer, moose, elk, beaver, and bear—comprise the region's mammalian wildlife. Three creeks run south through town. Windrem Creek—which flows down from Ol' Baldy Mountain—and Widmark Creek both flow into Centurion Creek, which itself drains south into the Pine River. The town experiences a cool continental climate, including frigid winters and warm summers. Southwesterly winds, coming off Williston Lake, predominate, with wind speeds averaging around 8.2 km/h (5.1 mph). About 318 millimetres (12.5 in) of rain and 169 centimetres (67 in) of snow fall on the town annually and about 30 days with some fog are expected per year. Chetwynd, like the rest of the Peace River Regional District, uses Mountain Standard Time year-round. The remainder of the province uses Pacific Standard Time with daylight saving time, meaning that Chetwynd shares the same time with the province during the summer and is one hour ahead during the winter. An initial 1958 population estimate, associated with Chetwynd's application for incorporation, recorded 750 residents—inclusive of nearby work camps. The 1966 Canadian census, the first to define Chetwynd as a distinct subdivision, counted 1,368 residents. Subsequent census counts documented a low of 1,260 people in 1971 before a population boom between 1977 and 1983 during the construction of Tumbler Ridge and the Peace Canyon Dam. The population count slowly declined for the remainder of the 1980s before rising to a high of 3,113 in 1996; nevertheless, the population declined in the late 1990s during the U.S.-Canada softwood lumber dispute when several mills either scaled back production or closed. According to the 2006 Canadian census, Chetwynd had 2,633 residents living in 1,025 households. With a median age four years lower than the province's, the population of Chetwynd is young. About 6% more people were single (and never married) and 4% less lived in lone-parent households than the province's proportion. According to the 2001 and 2006 census, while Chetwynd had an increase of 35 families, it had a decrease of 85 lone-parent families and an increase of the same number of common-law families. During the same period, the portion of dwellings being owned shifted from 50% to 62%, while the provincial proportion rose from 67% to 70%. The last complete census, the 2001 Canadian census, found that less than 5% of Chetwynd residents were foreign-born, and 90% of residents had an English-only mother tongue. While not counted as visible minorities during the census, 670 people considered themselves to have an Aboriginal identity, much higher than the provincial 4% average. The nine officer Chetwynd Royal Canadian Mounted Police detachment, which covered the municipality and nearby rural communities, reported 981 Criminal Code offences in 2005. This translated into a crime rate of 158 Criminal Code offences per 1,000 people, higher than both the previous year's rate of 142 and the 2005 provincial average of 125. In 2004, compared to the provincial average, Chetwynd had tripled the rates of reported impaired driving and cocaine-related offences. Conversely, Chetwynd had much lower rates of robbery, bicycle theft, and theft from motor vehicle. Chetwynd is the commercial centre for the rural communities of the Pine River Valley, as well as Moberly Lake, Jackfish Lake, and Lone Prairie. These rural residents are mostly cattle, sheep, and bison ranchers and use the town as a transportation hub to ship their products via highways or rail. After the 1950–1980 boom period, the town's economy has been bolstered by primary industries, including lumber mills (West Fraser Mills, Canadian Forest Industries, Tembec Pulp Mill), gas plants (Duke Energy, Talisman Energy), a coal processing plant (Pine Valley Mining), and a sulfur processing plant (Enersul). Since the late 1990s, Chetwynd has undergone an economic downturn from the closure of coal mines in Tumbler Ridge and the softwood lumber trade dispute between Canada and the United States, which led to the closure of the Louisiana-Pacific Canada Pulp Company pulp operations in 2001. The 2001 census recorded 1,120 income-earners over the age of 15 residing in Chetwynd; of these, 690 worked full-time throughout the year. Since then, the economy has rebounded with increased oil, gas and mineral exploration, tourist marketing of the area's outdoor recreational activities and chainsaw carvings program, new and re-opened coal mines, and wind farm construction. The Dokie Ridge Wind Farm is under construction and is expected to be completed in 2011. The 2001 census estimated that only 10% of people in Chetwynd between 20 and 64 years old graduated from a university, less than half of the 24% provincial average and 26% did not graduate from secondary school, 6% higher than the provincial average. Chetwynd's schools are administered by School District 59 Peace River South, which operates one secondary school and three primary schools. Chetwynd Secondary School had a 2003 enrollment of 516 people and a 2009 enrollment of 412 students, with declining enrollment figures projected to continue into the next decade. The three primary schools are Don Titus Elementary, Windrem Elementary, Little Prairie Elementary which had a combined 2003 enrollment of 630 children. Northern Lights College maintains a campus in Chetwynd, which has a 2003 enrollment of 170 students (based on full-time equivalents). It was established in 1976 with eight general interest and two university transfer courses. Today, the programs and courses offered at the Chetwynd campus are oriented towards training students for work in the local primary industries, including most trades and also Engineering as well as a variety of other minor courses ranging from music to babysitting. The John Hart Highway portion of Highway 97 runs east-west through Chetwynd, connecting the town to Dawson Creek (102 km or 67 mi east) and Prince George (304 km or 185 mi south). Highway 29 (Don Philips Way) runs north-south through Chetwynd, connecting the town to Hudson's Hope (60 km or 34 mi north) and Tumbler Ridge (89 km or 47 mi southeast). The downtown core lies just west of the intersection of Highway 97 and Highway 29. Chetwynd's internal street network has 28 km or 17 mi of paved road which uses the highway as its main arterial road with parallel frontage roads for local trips. A site plan by the province in 1957 laid out the basic structure of the town. The residential areas are separated from the industry and the highway by the use of natural features, such as contours or creeks, and vegetative buffers. Chetwynd has rail, air, and bus service for regional and provincial transportation needs. Rail lines enter Chetwynd from three directions: from Fort St. John in the north, from Dawson Creek in the east, and from Prince George in the south. Pacific Great Eastern Railway (later BC Rail) ran passenger service to Chetwynd until 1990. Since then the trains have been used solely for moving resources such as lumber and coal. The District of Chetwynd has operated the unmanned Chetwynd Municipal Airport (IATA: YCQ) since 1970. The runway was paved in 1975 but only handles chartered flights and helicopters. A new airport terminal was constructed in 2008 by students at Northern Lights College. The closest airports with commercial airlines are at Fort St. John and Dawson Creek. Greyhound Bus Lines maintain a bus stop in town on their Vancouver-Prince George-Dawson Creek route. The District uses the northeast-flowing Pine River as both a source of drinking water and an outlet for sewage. The former comes from an intake pipe southwest of town. Its sewerage consists of 28 kilometres (17 mi) of sanitary sewers and 3 kilometres (2 mi) of storm sewers. Raw sewage is processed by a five-cell lagoon system and released into the Pine River south of town. The water supply was briefly shut off in 2000 when oil pipeline along the Pine River ruptured spilling 6,200 barrels (990 m3) of oil into the river. Electricity is supplied by BC Hydro from the Bennett and Peace Canyon Dams and natural gas by Pacific Northern Gas. The Little Prairie Heritage Museum, located in one of the town's oldest buildings (a converted post office dating to 1949) displays artifacts and re-creations of the town's frontier times, and nostalgia pieces from the construction of infrastructure through the Rocky Mountains. A public art program, started in 1987, showcases over 50 chainsaw carvings spread throughout town with a downtown monument that declares Chetwynd the "Chainsaw Sculpture Capitol of the World". The town's first annual chainsaw carving contest was held in June 2005. A regular contestant in the Communities in Bloom contest, the District built four wind turbines in 2004 to power decorative lights on 25 large trees along its boulevard as an entry to the WinterLights Celebration contest. A statue of a lumberjack entitled "Chetwynd, the Little Giant of the Great Peace", measuring 2.7 metres (9 ft) tall and located alongside the highway, has stood in the town since 1967. The statue has been periodically altered by replacing the ax with other accessories, such as a lasso, rifle, gold pan and pitchfork, or dressed in other outfits, like a Santa suit. In 2009 the original statue was replaced with a wood carving facsimile, intended to reflect the popularity of the annual chainsaw carving event. For outdoor recreation, a community forest on Mount Baldy provides residents with trails for walking, hiking, cycling, and cross-country skiing close to home. There is downhill skiing about 100 km (60 mi) west of town (and closer to the Rocky Mountains) at the Powder King Mountain Resort. Nearby provincial parks include Gwillim Lake Provincial Park (56 km, 35 mi southeast), Moberly Lake Provincial Park (25 km, 16 mi northwest), Pine River Breaks Provincial Park (15 km, 9 mi east), and East Pine Provincial Park (30 km, 19 mi east). Chetwynd has a large indoor rodeo facility, an outdoor speed skating oval, and a general recreation complex with an ice arena, wave pool, six-lane curling rink, two baseball diamonds, and a skateboard park. It has recently been renovated and now contains a rock climbing wall, indoor walking track and fitness center. Smart Growth BC ranked the town as one of BC's most livable municipalities in 2004, due mainly to its large park spaces. Since the 1970s, the Chetwynd Communications Society has worked to establish radio and television service. For many years, they rebroadcast pre-recorded content to Chetwynd and surrounding communities via a telecommunications tower on nearby Wabi Mountain. On 5 December 1996, 94.5 CHET-FM—the town's first radio station—went on-air. Since then the station has expanded with a repeater tower in Dawson Creek at 104.1 and is now known collectively as Peace FM. Its programming uses a series of specialty programs such as metal, gospel, hard rock, and dance. Chetwynd's community television station, CHET-TV channel 55, began broadcasting on 8 March 2000, in a ceremony attended by Governor General Adrienne Clarkson. The Chetwynd Communications Society also owns a series of low-powered repeaters that rebroadcasts selected Canadian and American stations via satellite. In addition, Chetwynd is served by CBUZ-FM 93.5, repeating CBC Radio One station CBYG-FM from Prince George. Two periodicals covered local news: the weekly newspaper Chetwynd Echo and the biweekly newsletter Coffee Talk Express. The Chetwynd Echo was created by the Chamber of Commerce in 1959 as The Chinook in a tabloid format. It was renamed the Weekly Advertiser in 1962 and the Chetwynd Echo in 1971 when it switched to a broadsheet format. The Chetwynd Echo closed in 2016, publishing its final edition on January 6. The District of Chetwynd's council-manager form of municipal government is headed by a mayor (who also represents Chetwynd on the Peace River Regional District's governing board) and a six-member council. These positions, plus two school board trustees, are subject to at-large elections every three years. The current mayor, Evan Saugstad, was first elected in 2003, and re-elected by acclamation in 2005. The city funds a volunteer fire department, which services the town and nearby rural communities. The city maintains the sewer, water, local road, sidewalk, street lighting, animal control, building inspection, park, and recreation services. The Province staffs a government agent office in Chetwynd for access to licenses, permits, and government programs. Through the Northern Health Authority the province operates the five-bed Chetwynd General Hospital. As part of the Peace River South provincial electoral district, it is represented in the Legislative Assembly of British Columbia by BC Liberal Mike Bernier, first elected in the 2013 provincial election. Before Bernier, Peace River South was represented by Blair Lekstrom between 2001 and 2013, and by Jack Weisgerber, between 1986 and 2001, of the Social Credit Party of British Columbia (1986–1994) and Reform Party of British Columbia (1994–2001). In 1996 as leader of the Reform Party, Weisgerber won re-election despite placing second in the Chetwynd polls to the BC Liberal Party candidate. Chetwynd is located in the Prince George—Peace River riding which sends a Member of Parliament to the federal House of Commons of Canada. The town has been represented by Conservative Party member Bob Zimmer since the May 2011 federal election. Prior to Zimmer, the town was represented by Jay Hill, also of the Conservative Party, who was first elected in 1993, and re-elected in 1997, 2000, 2004, 2006, and 2008 but retired in 2010. Before Hill, the riding was represented by former Chetwynd mayor Frank Oberle of the Progressive Conservative Party. Oberle was elected Chetwynd's mayor in 1968 and its MP in 1972. He became Canada's first German-born minister when he was appointed Minister of Science and Technology in 1985. He also served as Canada's Minister of Forestry in 1989. 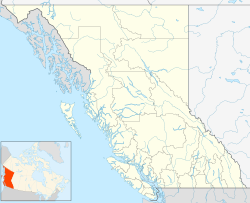 ^ "Chetwynd, District municipality". 2011 Census Profile. Statistics Canada. Retrieved 26 January 2013. ^ a b c d "Community Highlights for Chetwynd". 2006 Community Profiles. Statistics Canada. 2007-09-11. Retrieved 2007-10-06. ^ a b c d e f Bea Kurjata, ed. (1989). History book saga of Little Prairie-Chetwynd. Altona, Manitoba: Chetwynd and Area History Committee. pp. 1–2, 66, 89–99, 515. ISBN 0-88925-943-7. ^ Shaw, John (1989). "The Windrems". History book saga of Little Prairie-Chetwynd. Altona, Manitoba: Chetwynd and Area History Committee. pp. 1–2. ISBN 0-88925-943-7. ^ "Chetwynd History". District of Chetwynd. Retrieved 2014-11-12. ^ "Little Prairie grows into Village of Chetwynd". Peace River Block News. 30 June 1978. ^ "National Forest Week". Parliamentary Debates (Hansard). BC Legislature. 1992-05-04. Volume 2, Number 19. ^ a b "British Columbia Municipal Census Populations, 1976–1986". BC Stats. Archived from the original on 2012-07-23. Retrieved 2006-12-08. ^ a b "British Columbia Municipal Census Populations, 1986–1996". BC Stats. Archived from the original on 2012-07-30. Retrieved 2006-12-08. ^ "Order-in-Council #1423". Ministry of Municipal Affairs and Housing (British Columbia). 1996-12-04. ^ "Mine approved". Chetwynd Echo. 17 March 1998. ^ Simpson, Scott (13 December 2006). "2-year-old B.C. coal mine closed, seeking buyer". Vancouver Sun. Archived from the original on 9 November 2012. Retrieved 2007-10-22. ^ Farstad, L.; Lord, T.M. ; Green, A.J. ; Hortie, H. J. (1965). Soil Survey of the Peace River Area in British Columbia: Report No. 8 of the British Columbia Soil Survey. Ottawa: Queen's Printer and Controller of Stationary. Archived from the original on 2011-07-06. ^ Soil Capability Classification for Agriculture (Map) (1965 ed.). Department of the Environment (Canada). § 93P-12NTS. ^ "Boreal White and Black Spruce". Biogeoclimatic Zones of British Columbia. Ministry of Forests and Range (British Columbia). Retrieved 2005-12-04. ^ "Engelmann Spruce – Subalpine Fir". Biogeoclimatic Zones of British Columbia. Ministry of Forests and Range (British Columbia). Retrieved 2005-12-04. ^ "Chetwynd A, British Columbia". Canadian Climate Normals 1971–2000. Environment Canada. Retrieved 2005-12-08. ^ a b "Technical Assessment Report" (PDF). Dokie Wind Energy Inc. 2005: 55–60. Archived from the original (PDF) on May 24, 2006. Retrieved 2006-12-08. ^ "Region considers the time old question". Fort Nelson News. 28 September 1983. ^ "Calculation Information for 1981 to 2010 Canadian Normals Data". Environment Canada. Archived from the original on February 7, 2014. Retrieved July 9, 2013. ^ "British Columbia Municipal Census Populations, 1996–2006". BC Stats. Archived from the original on 2012-05-29. Retrieved 2006-12-19. ^ "British Columbia Municipal Census Populations, 1921–1971". BC Stats. Archived from the original on 2012-06-29. Retrieved 2005-11-27. ^ a b c d e "Community Highlights for Chetwynd". 2001 Community Profiles. Statistics Canada. 2007-02-01. Retrieved 2006-12-09. ^ a b Police and Crime: Summary Statistics: 1996–2005 (2006 ed.). Ministry of Public Safety and Solicitor General (British Columbia). pp. 101, 106–110, 151, 154. ISSN 1198-9971. OCLC 34339976. Retrieved 2006-12-09. ^ Nielsen, Mark (2001-10-18). "Chetwynd Pulp Mill Shut Down". Peace River Block Daily News. Archived from the original on 2007-09-27. Retrieved 2007-10-10. ^ Fawcett, Max (8 January 2010). "2009: Year in Review". The Chetwynd Echo. pp. 1–25. ^ Larsen, Naomi (15 January 2010). "Dokie wind project moving ahead". The Chetwynd Echo. p. 1. ^ a b c d e "A Socio-economic profile of the South Peace River Region, British Columbia, Canada" (PDF). 2003 Edition. Dawson Creek & District Chamber of Commerce: 82–83. Archived from the original (PDF) on 2006-11-16. Retrieved 2006-12-08. ^ "Northern Lights College Facilities Expanded". The Echo: Progress Edition. 1978-07-05. ^ "Chetwynd Campus". About NLC. Northern Lights College. Retrieved 2005-11-27. ^ a b Municipal redbook: an authoritative reference guide to local government in British Columbia. Burnaby, BC: Reed Construction. 2005. p. 23. ISSN 0068-161X. ^ "NLC, District of Chetwynd to partner to build airport terminal" (Press release). Northern Lights College. 2007-05-17. Archived from the original on 2007-12-25. Retrieved 2007-10-11. ^ "Oil Spill Threatens Chetwynd". Peace River Block Daily News. 2000-07-02. Archived from the original on 2007-09-27. Retrieved 2007-10-10. ^ "Pine River Oil Spill". Ministry of Environment (British Columbia). Archived from the original on 2007-10-13. Retrieved 2007-10-11. ^ Kaulbach, Garry (2006). "District of Chetwynd Windmill Project 2005/06" (PDF). District of Chetwynd. Archived from the original (PDF) on 2007-10-25. Retrieved 2007-10-11. ^ "BC Sprawl Report: Economic Vitality and Livable Communities, 2004" (PDF). Smart Growth BC. 2004: 15, 78. Archived from the original (PDF) on 2004-06-12. Retrieved 2007-10-10. ^ "The History of CHET FM and CHET TV". About PEACE FM. PEACE FM & 55 CHET TV. Archived from the original on 2005-12-26. Retrieved 2005-12-18. ^ Gammon, Maureen (1989). "The Chetwynd Echo". History book saga of Little Prairie-Chetwynd. Altona, Manitoba: Chetwynd and Area History Committee. pp. 521–522. ISBN 0-88925-943-7. ^ Fawcett, Max (13 March 2009). The Chetwynd Echo turns 50. The Chetwynd Echo. p. 1. ^ "Chetwynd Echo to close". Dawson Creek Mirror. Retrieved 2016-10-25. ^ "District of Chetwynd 2008 Annual Report" (PDF). District of Chetwynd. April 2009. Archived from the original (PDF) on 2011-07-11. Retrieved 2010-11-08. ^ "Locations: Chetwynd". Service BC. Ministry of Citizens' Services (British Columbia). 2010. Retrieved 2010-11-08. ^ "Hospital keeps beds". The Province. Vancouver. June 26, 2002. p. A6. ^ "Peace River South Electoral District" (PDF). 36th Provincial General Election – 28 May 1996. Elections BC. 1996. Archived from the original (PDF) on 2006-09-27. Retrieved 2006-12-08. ^ "MP services still available". The Prince George Free Press. Prince George, British Columbia. October 14, 2010. p. 6. ^ Lennard, Sonya (November 25, 2004). "Former MP found home in the Peace: Oberle's autobiography chronicles this warchild's journey to the Peace". Alaska Highway News. Fort St. John, British Columbia. p. A1. ^ "Peace River South" (PDF). Statement of Votes: 39th Provincial General Election. Elections BC. 2009. Retrieved 2010-11-08. Wikimedia Commons has media related to Chetwynd, British Columbia. This page was last edited on 17 July 2018, at 22:11 (UTC).